While a tenant eviction may feel like the worst case scenario, losing an eviction–and owing the tenant money in the end, is even worse. 1. Have you tried to resolve the problem short of an eviction? If the tenant is running a marijuana grow-op or causing damage to the property, eviction is a clear necessity. But other situations can be fuzzier. Is it possible to resolve the differences amicably and salvage the remainder of the tenancy? Would it be cheaper to pay the tenant to move out and save the cost of an eviction– and any damage they may cause? 2. Do you have the legal right to evict this tenant? Not all grievances are grounds for eviction. Typically, a landlord can evict for non-payment of rent, a serious violation of the lease agreement, or breaking the law. Make sure to do the research before you serve an eviction notice. 3. Can you provide the proper documentation to win the eviction case? Judges are going to hold a landlord’s feet to the fire when it comes to proving the grounds for eviction. Check for the original, signed lease agreement, the rental application, inspection reports, photos, names of witnesses and other proof that relates to your reason for eviction. Often, the lease agreement or local law may require the losing party to pay the winner’s attorneys fees. Documentation is crucial to a landlord win. 4. Does the tenant have a good defense? Anticipate the tenant raising complaints if they fight the eviction–claiming that necessary repairs were never completed is very common. Figure in possible offsets to rent owed for faulty property management when evaluating your options. 5. 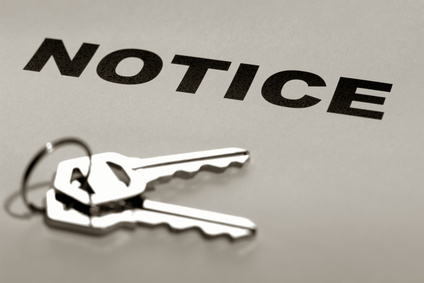 Are you prepared to handle a troubled tenant after you serve the eviction notice? Have you performed an inspection recently? Will you be able to prove that the tenant damaged the property? Do you fear this tenant will act out? If you don’t feel safe or fear that you may be at risk, you may wish to involve your local police department when you serve the notice to evict. This will ensure that all parties are protected. It’s much easier to avoid problem tenants than it is to evict one. Vigilant tenant screening can help by weeding out tenants with a history of bad behavior. This is avery good basic article. I have had to evict once in 4 years and it was because I didn’t screen the tenant. It got hairy and scary and was very stressful. This year I had a group of low income tenants that simply did not have the money to pay the rent. I offered each $100. to find a new place and it worked out fine, cash for keys is often an option. It’s much easier to make a conseession to help a tenant out of a situation then to work against them. Previous post: What Does a FICO® Score Actually Mean?